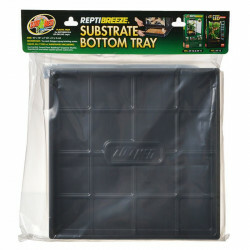 Welcome to the Reptile Terrariums, Cages & Accessories superstore! A reptile's cage is truly its castle; these territorial critters take more possession than most pets over the space they inhabit, so you'll want to make sure your pet reptile's home is a good one! Reptiles have become incredibly popular as pets in recent years, and petmountain.com has been the leader in making sure reptile owners have easy access to everything they need to provide a safe, healthy and happy home for these fascinating creatures. We're confident you'll find everything you need to set up and maintain a top notch terrarium or cage for your pet right here. 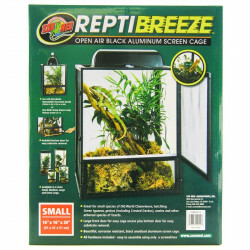 Pet Mountain's Reptile Terrariums, Cages & Accessories store features top quality products from the most trusted names in reptile care and habitat equipment, including Zoo Med, Lee's, Zilla, and more. 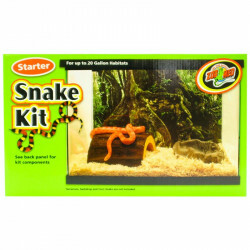 To start your reptile journey, you'll need to start with a specially designed reptile cage or terrarium. This is your pet's home, and you'll want to dress it up into an authentic replica of your particular reptile's natural environment. Our selection of open air cages, turtle lagoons, plastic terrariums and other habitats is second to none. 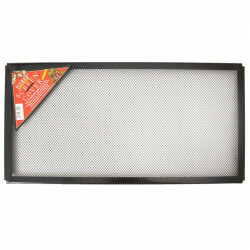 If you're looking for a great deal, our reptile screen covers and non-locking screen clips are here to make converting your old aquarium into a reptile terrarium easy and simple. 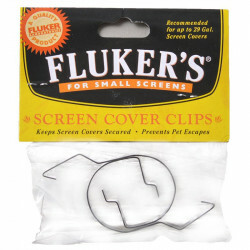 Just find the right screen cover for your tank and clip it on!